During the past week or two due to flood there were many times when we as a family used to huddle together and talk about our everything under the sun. Thanks to none of the distractions like Phones, TV or Internet not being available. 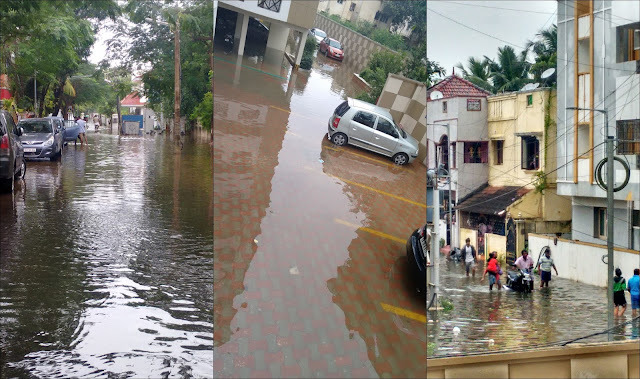 Chennai was drowning ! And help poured in only after national news declared Chennai as a disaster zone. This is when we realized that how we should utilize every moment positively while being together. One of such conversations was about my 70 year old father who even after retirement is fit as a fiddle. Even now as soon as the clock strikes 2 pm my Dad could be seen sitting in front of television to watch cookery show in a local TV channel. Such is the enthusiasm to learn new dishes even at this age post retirement. And whenever there is something special on show he notes down the ingredients and recipe for me. Later he passes on the information to me. 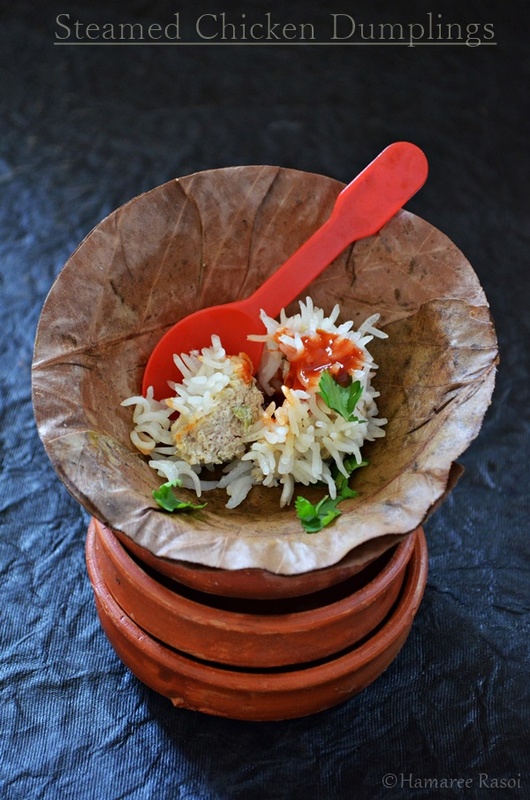 This Kadom phool look-a-like dumpling is one such dish ! The kadam flowers have large and attractive globular heads which made it easy for me to add in generous amount of fillings inside. So here is my new recipe after a hiatus of more than 2 months..
First of all soak the rice for 30 minutes and drain off excess water. 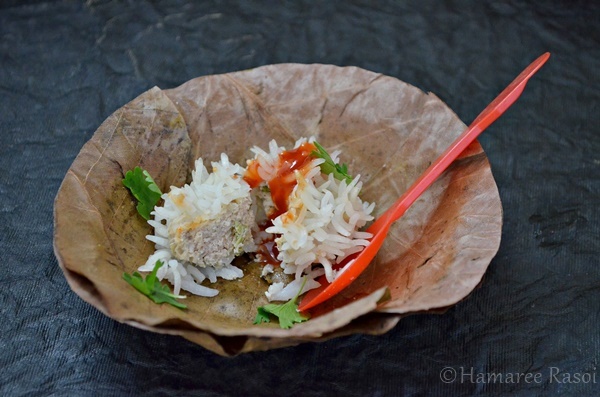 Spread the rice on a muslin cloth. Keep aside. Run the minced chicken in a grinder to make a smooth paste. When it is half done, stop the grinder and add green chilies along with the chicken paste. Grind it for one more minute. Transfer it to a mixing bowl, add ginger, onion, garlic, garam masala, salt and mix well. Divide the mixture into 10-12 round balls. 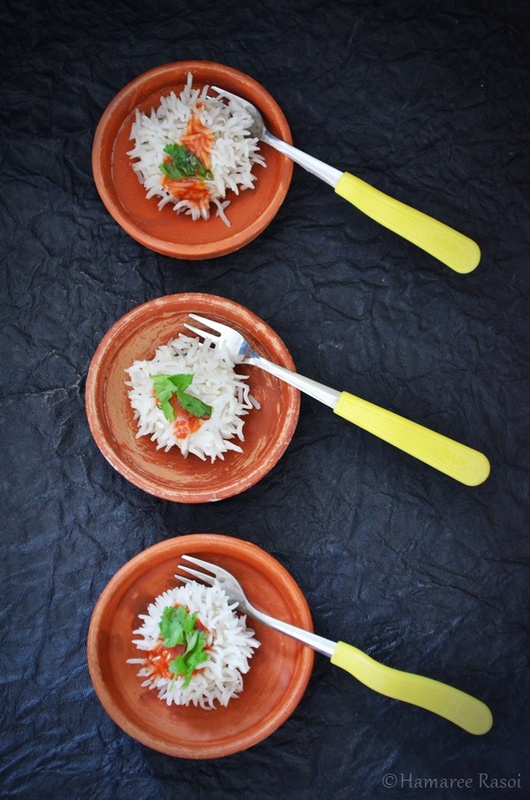 Grease your palms with little oil and take a small ball of chicken mixture and roll them in rice. 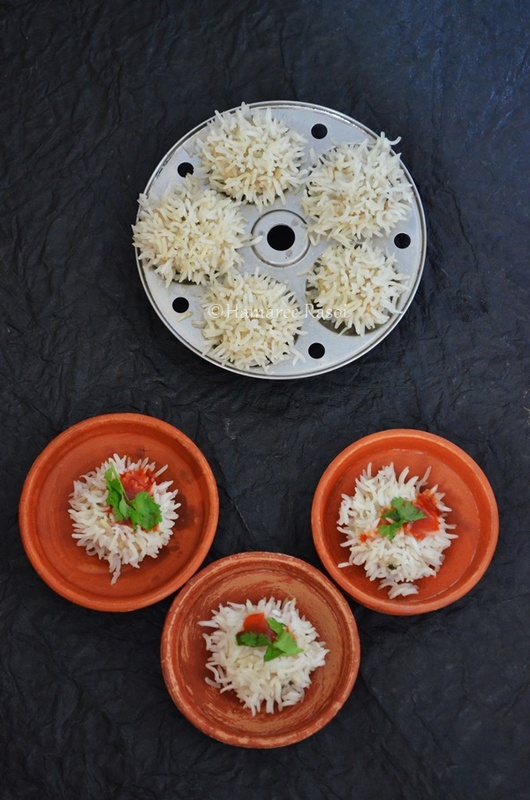 Pour water in a pressure cooker, oil the idly stand and place the chicken balls coated with rice on it and place it inside the cooker. Close the pressure cooker without vent weight. Steam for about 15 minutes. Allow to cool for 2 minutes and then open the lid. Run a spoon around the chicken balls to remove it from the steam plates. Serve hot with chopped coriander leaves and chili sauce. Deepa, this is so innovative and interesting. Thanks to Uncle and you, I picked up something very interesting today. Would love try it a veggie way with my twist.